Around 500 scientists, government representatives, civil society organisations, academia, farmers’ associations and cooperatives participated in the symposium. "The symposium sought to explore the proven and available agricultural biotechnological tools and products that are useful for attaining sustainable food systems and nutrition for smallholder and family farmers," Chikelu Mba, officer in FAO's plant production and protection division, told Down To Earth. Currently, smallholders do not have access to many products because they are expensive, and therefore, not affordable, Chikelu added. The FAO symposium emphasises on a range of biotechnologies that can help bring about high yields, improve nutrition quality and add value to the productivity of crops, livestock, fish and trees. Several “low tech” applications such as fermentation processes, use of bio-fertilizers, artificial insemination, production of vaccines, disease diagnostics, development of bio-pesticides and the use of molecular markers in developing new varieties and breeds can benefit family farmers to a great extent. Though there is stress on the use of biotechnologies to improve yields, the symposium is not about genetically modified organisms (GMOs), according to the FAO chief. "An appreciable number of people have concerns about the potential risks that GMOs pose to the environment (through geneflow) and human health (through allergies). However, no such harmful effects have been recorded over the 20 years of commercialisation of GMO crops. It is in recognition of such concerns that the global community devised the Cartagena Protocolon Biosafety of the Convention on Biological Diversity which aims to ensure the safe handling, transport and use of GMOs," Chikelu said. He added that there was no recorded evidence that GM crops affect pollination by bees. The symposium highlights three main themes: climate change impacts; sustainable food systems and nutrition; and, people, policies, institutions and communities. When it comes to developing countries, focus on optimal agricultural output while conserving natural resources at the same time is a must. It is necessary to integrate adaptation, vulnerability and resilience with agricultural strategies to fight climate change risks. Biotechnologies play a major role in achieving the aim. Though crop biotechnologies have developed over the past century, progress has mainly taken place over the past 20 years. 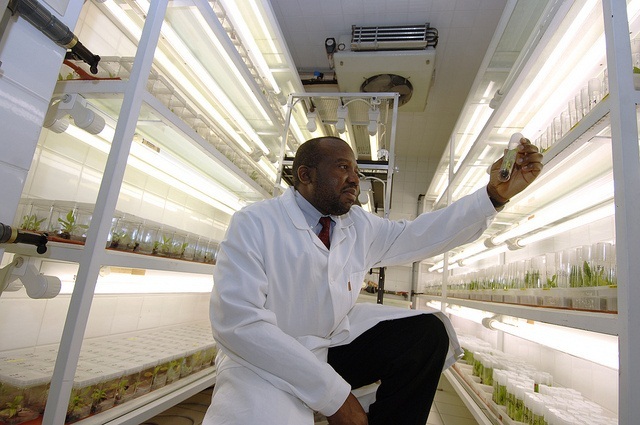 There have been mixed experiences with crop biotechnologies in developing countries. Interspecific hybridisation is a technique that allows the combination of favourable traits from different species. It has been used successfully in the development of inter-specific disease-resistant Asian rice and New Rice for Africa (NERICA) varieties. Biotechnology also offers important tools to diagnose plant diseases of both viral and bacterial origin. While biofertilizers are used to augment the nutritional quality of crops biotechnology offers important tools to diagnose plant diseases. There is a growing concern that climate change will affect food production hard. In an interview with Down To Earth, Aziz Elbehri, senior economist, trade and markets division, FAO, and editor of the book Climate Change and Food Systems, had said how food availability would be climate driven in the future. Climate change “affects all of us, but especially the poorest and hungry people,” Graziano da Silva had said at the time of CoP 21, underscoring how smallholders and family farmers are always “in the front line”. According to the FAO, droughts, floods, storms and other disasters triggered by climate change have risen in frequency and severity over the last three decades, increasing the damage caused to the agricultural sectors of many developing countries and putting them at risk of growing food insecurity. Extreme weather events such as floods and droughts can cause extreme food shortage all over the world. The prevailing El Niño phenomenon has caused crop failure, pushing around 10.2 million people in Ethiopia into food insecurity. According to the Food and Agriculture Organization, by 2050 crop production must increase by 60 per cent globally and by almost 100 per cent in developing countries to meet the burgeoning food demand of a growing population of around nine billion people. Sustainably increasing production is not sufficient to meet the increased food demand as up to 30 per cent of food produced is either lost or wasted along the value chain. "Agricultural biotechnologies can contribute to efforts towards acieving sustainable development agenda of Zero Hunger by 2030. But, they do not constitute a panacea. They must be used as complements to other tools that constitute part of the toolbox for solving specific local problems. Zero Hunger by 2030 is a global challenge and requires local solutions. Need-based solutions to local problems must be devised; in some cases agricultural biotechnologies would be part of the solution while in other cases, more apt solutions may exist," Chikelu said. A native of Latin America, cassava is one of the staple food crops in sub-Saharan Africa. It is the most important source of nutrition for millions of poor people. The crop, a rich source of dietary calories for smallholder farmers and their families, can be easily cultivated without fertilizers. It offers immense potential for enhancing the income and improving the livelihood of subsistence farmers. 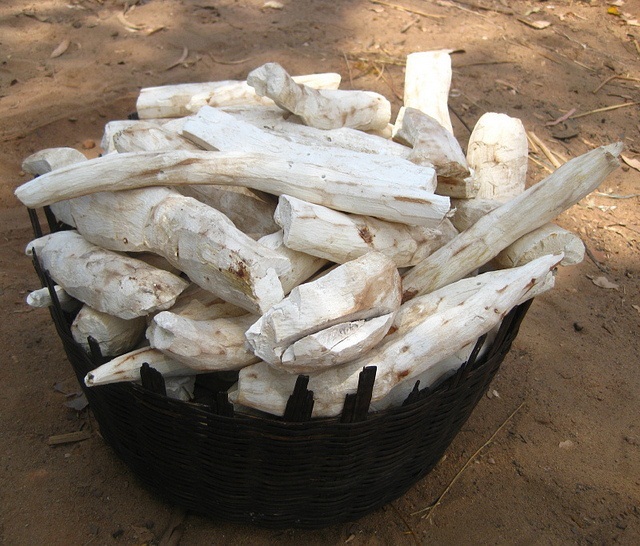 To increase yields, cassava cultivation needs a major boost in sub-Saharan Africa. For instance, the average yield of fresh roots per hectare is 10.2 tonnes in Africa, 12.5 tonnes in South America and 17.3 tonnes in Asia while worldwide it is 12.4 tonnes. Developing superior varieties of cassava in Africa will benefit from increasing the genetic diversity of the breeding materials. There is a rich diversity, including wild relatives of cassava, found in South America. However, transferring the cassava germplasm (living genetic resources) through seeds or stem cuttings faces a number of problems. Using seeds is a time-consuming and expensive process. Stem cuttings also pose risk as their transportation can spread pests and diseases. To solve the problem, the National Root Crop Research Institute in Nigeria pioneered the use of cell biology and molecular markers in 2004 to introduce desirable traits of the South American germplasm into the African cassava crop. Thousands of plantlets—small plants grown in test tubes or flasks in the laboratory—were obtained from one of the world’s largest repositories of cassava germplasm, the International Center for Tropical Agriculture in Colombia. Through the use of molecular markers, analysing and identifying fragments of cassava DNA linked to the traits of interest, scientists were able to produce a new variety resistant to pests and drought. It is estimated that the improved variety can enhance the yield in Nigeria from the average 14 tonnes per hectare to 25 tonnes per hectare. Sorghum, another important crop in Africa, faces periodic drought and competition from plant parasite Striga or witchweed. Research at the International Crops Research Institute for the SemiArid Tropics in Sudan has resulted in the first hybrid varieties of sorghum that are both drought resistant and high yielding. The Africa Biofortified Sorghum project is a multi-stakeholder initiative to fight malnutrition in one of the most food-insecure regions of the world. Sorghum is critical for food-insecure people and adapts well to Africa’s climate. 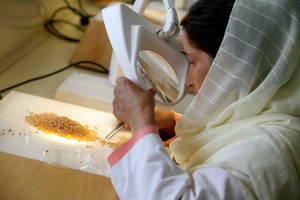 The project focuses on improving seed systems as well as boosting the nutritional profile of sorghum. Biofortified sorghum has the potential to deliver 50 to 100 per cent of Vitamin A requirements for extended periods of time after harvest and up to 80 per cent of iron and zinc needs through normal consumption. Teak, a valuable tropical hardwood, is widely planted in Asia, South and Central Americas and Africa. Teak has low-seed yield per tree which creates a problem for making germplasm available for smallholders and other tree planters as well as for improving the quality of wood. In Malaysia, the Sabah Foundation Group has been testing high-quality teak clones using nursery and micropropagation techniques since the early 1990s. Micropropagation, growing plant tissue cultures in laboratory conditions, is used to clone superior teak trees with desirable traits (fast growth, straight trunks, minimal branching and high heartwood to sapwood ratio). Micropropagation is also useful for growing root crops. For instance, disease-free sweet potatoes based on tissue culture have been adopted on 0.5 million hectares in Shandong Province in China, with yield gains of 30–40 per cent. In Kenya, micropropagated disease-free bananas were adopted by more than 500,000 farmers over a 10-year period. Successful application of micropropagation has led to the increased availability of high-quality teak planting stock in Malaysia and worldwide exportation of teak plants to tropical and sub-tropical countries. The increased availability of high-quality teak planting has contributed to intercropping systems based on teak and other cash crops such as rubber, coffee and cocoa, which immensely benefit smallholders. 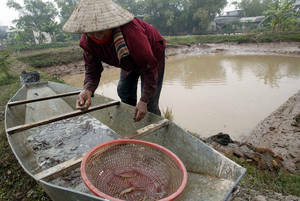 Techniques allowing detection of viral diseases have led to the reduction of losses in shrimp farming. The use of polymerase chain reaction (PCR)—a tool to make more DNA until there is a sufficient amount of the viral DNA for detection in the laboratory, has been introduced in India where shrimp aquaculture is mainly carried out by small-and medium-scale farmers in villages. Farmers were given kits for collecting and preserving DNA. Since 2002, efforts to support shrimp farmers in disease control and coastal management have led to significant improvements in their income level and reduced disease risks. An analysis from Andhra Pradesh shows that farmers, who adopted better management practices for their shrimp stocks, witnessed high profits and low production cost. The project has been highly successful in forming a self-help movement of farmers–from only five farmers who first adopted it in 2002, the programme reached more than 1,000 farmers in 30 aquaculture societies by 2007. Chikelu Mba, officer in FAO's plant production and protection division, speaks to Down To Earth about how agricultural biotechnologies can be adopted by family farmers for a more sustainable future. Why were so many low-tech applications (fermentation, bio-fertilizers etc) included in the symposium? Was it because they were targeted at small-holders/family farmers in developing countries or was it done keeping in mind the sustainability factor? Yes, (in a way) cost must have played a role in their adoptions, but so would other factors that confer sustainability such as access. These include intellectual property rights regimes, policy environment, public acceptance, economic returns on investments, etc. (Some) technologies like the marker-assisted selection require higher set up costs and skills. Why is there so much emphasis on small holders/family farmers? Constraints such as climate change and population growth are challenges faced by also those practicing large-scale farming. A lot of emphasis is placed on smallholder farmers because they are vulnerable, resource-poor individuals with very weak coping mechanisms. 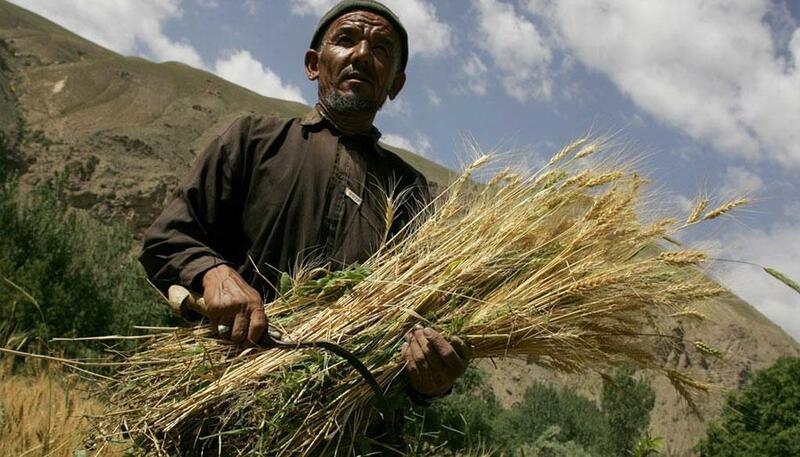 Family farmers, which encompass smallholders and a few large farms, are critically important for global security and nutrition as they produce more than 80 per cent of our food. Is there any particular way to make high-tech approaches convenient for small holders? High-tech approaches do not have to be convenient for smallholders. However, smallholders should have access to the products of high-tech agricultural biotechnologies that can enhance their capacities to produce more nutritious food efficiently and with the least negative environmental impacts. Currently, smallholders do not have access to many products because they are expensive. In other cases, their access to game-changing products is barred by intellectual property protections and/or the lack of policies that enable them to use the products safely. These constraints can be mitigated through effective public-private partnerships, the strengthening of local human and institutional capacities to adapt available technologies to local needs and circumstances and the development of appropriate laws and policies. With the urban population set to increase over the years, how can stronger links be forged between farmers and urban markets? Governments, donors and development partners should target entire value chains rather than select sub-sets. In this way, linkages are forged between farmers and processors, who add value to the produce by developing end-products suited to the urban dwellers. The processors must be enabled to have access to urban markets. Training in entrepreneurial skills and enhanced access to credit facilities, provision of incentives, and improvement of infrastructure (roads for transportation) are some of the ways that the actors along the value chain can be supported with. Do you think genetic improvement of plant varieties and animal populations to increase their yields is sustainable? The Green Revolution in India was introduced to increase yields, but years later the soil was highly degraded due to excessive use of fertilizers. Productivity is an indispensable element of sustainability. The world has come a long way since the Green Revolution and some of the excesses that critics highlight. Now, the emphasis is not so much on production as productivity. We are now challenged to attain higher yields with fewer external inputs. Sustainable production systems leverage ecosystem services to complement the optimal use of external inputs. Our knowledge about optimal amounts of water and/or fertilizers required to produce our food has increased substantially since the Green Revolution. Do you think organic farming cannot feed the increasing population of the world? Is that the reason for improving on the agri-biotechnology factor? Organic farming, meaning the production of food without external inputs such as fertilizers, herbicides and pesticides, certainly could work in some cases. However, with increasing population, decreasing number of farmers, increasing urban migration, climate change—with new and unpredictable extreme weather events and new strains of pests and diseases—this cannot be the only option for feeding the world nutritiously. Other options that can contribute to increased productivity include agricultural biotechnologies. Also there are certain traditional Methods used to control insects and to control rodenticides. In Chittoor District(AP) in the Groundnut Crop(Peanuts) Red hairy cater pillar is a menace as they eat away the leaves and go into the ground during day. Local people put Calotropis leaves in the field and the Red hairy cater pillar after eating them further regeneration is arrested. Obviously genetical changes are taking place. The pigment(may be latex is responsible) can be isolated and natural insecticide can be manufactured. Also during sowing of Groundnut the crows eat away the seed. The local people put latex of “Euphorbia Antiquorum” mixed in cooked rice on trees and after eating this the crow dies. Perhaps there is blood clotting. Why not Scientists from ICMR,IARI study this and come out with natural rodenticide. Will ICAR,IARI,Agricultural Universities in India undertake research on these.